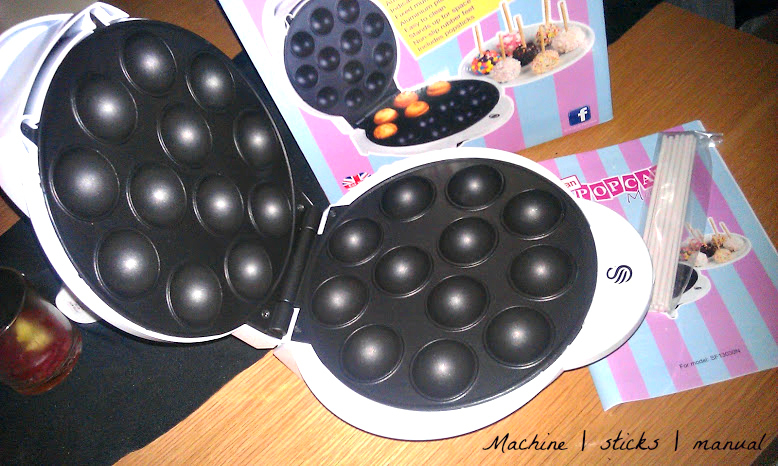 This is really fool proof machine which gives you lovely cake pops in less than 10 minutes...hello! The book states to fill them 2/3 full but I tried it this way and they didn't quite end up as pops but more flying saucers hehe, I filled them almost to the top and this worked out better. Even if they overflow when they rise, you can trim off the edges and then they make perfect round pops. The machine asked you to check them after 5 minutes which is what I did and I turned them over at this point to helps them along a little. I checked mine again after 8 minutes when they are slightly golden brown. When taking them out they seem really soft and possibly under cooked but as they cool they harden a little so don't worry if they feel squidgy still after removing them. Using this recipe in the book it made 5 batches so 60 cake pops. 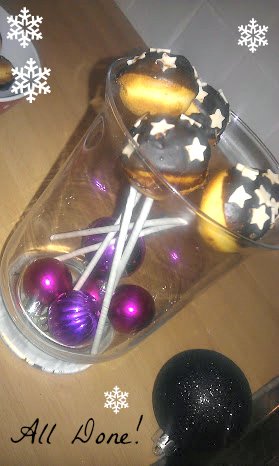 I dipped mine in melted chocolate, icing and white chocolate stars, you can be as inventive as you like! I served mine 2 ways, in a Christmas bowl so they are like nibbly bites for people to tuck into and on the sticks in a nice jar. 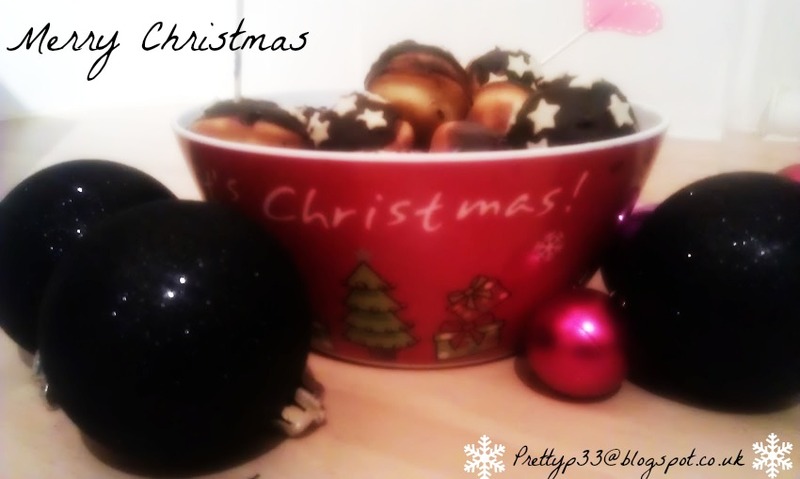 And here is the finishes result......ta daaaa........ oooh and they were yummy! Anyone else love a foodie gift? ?